Tree-lined pathways offer a cheerful welcome into the gated community and lend a sense of calm. 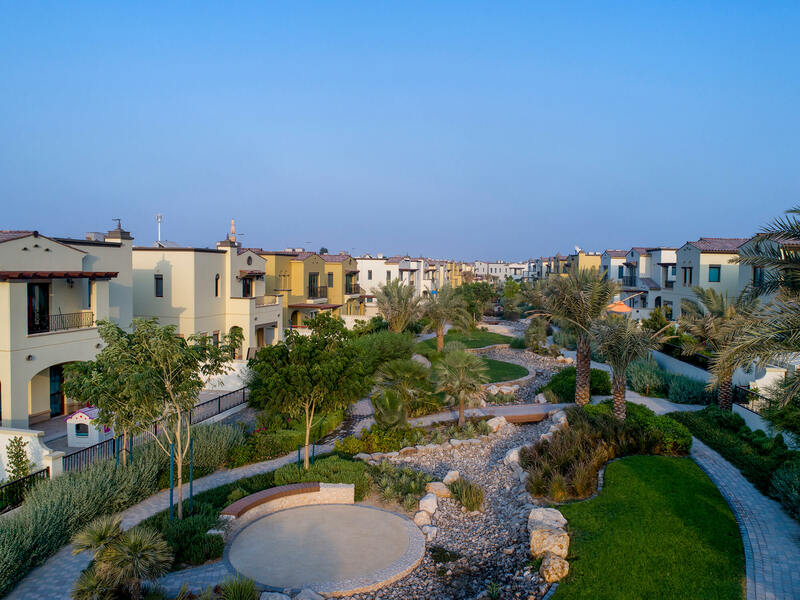 Designed to be child-friendly and secure, all of the green areas and parks within the community are enclosed and accessible directly from each of the villas. Children will enjoy playtime outdoors at three specially-designed play areas, where they are encouraged to run, play and picnic, in a traffic-free environment. 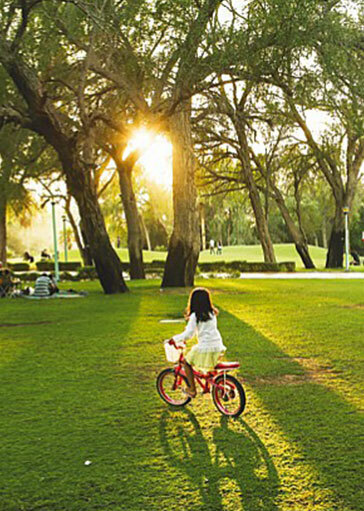 With the expansive Mushrif Park right next door, you will be just a walk away from the verdant open spaces within the park as well as activities such as camel and horse riding, cycling and family picnics. 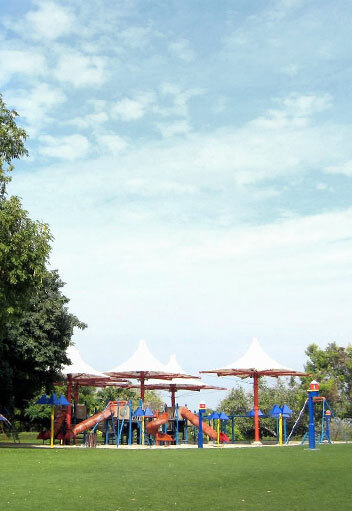 The Park also features electronic games, barbecue and picnic areas, a swimming pool, sports playground for basketball and volleyball, restaurants, train ride services and a park theatre. Perfect for a fun family day out. The olive tree, a treasured symbol of Spanish culture, will become the heart and soul of Mushrif Village. The olive tree reflects timeless Spanish traditions and is a symbol of peace, health, wealth and balance. 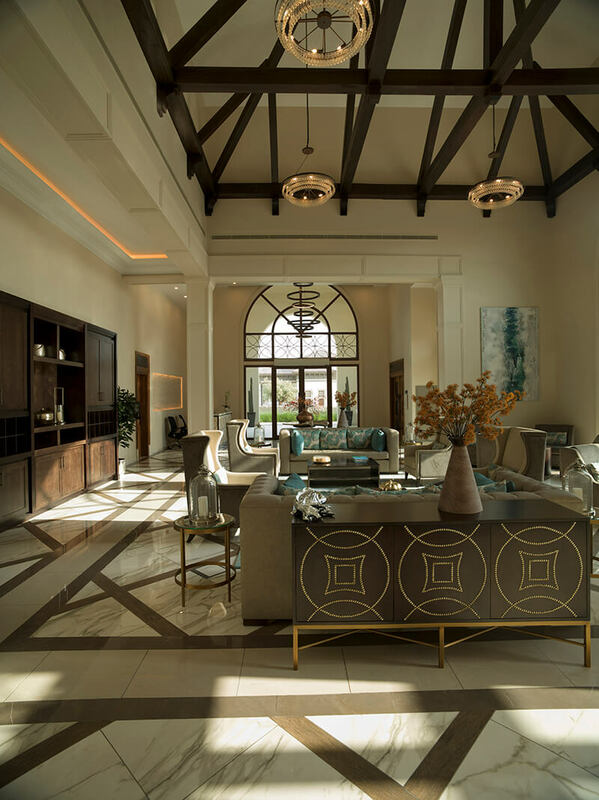 As you drive into the community and through the magnificently designed gatehouse, you will be welcomed by a lush emerald green olive tree, stretching out its branches. 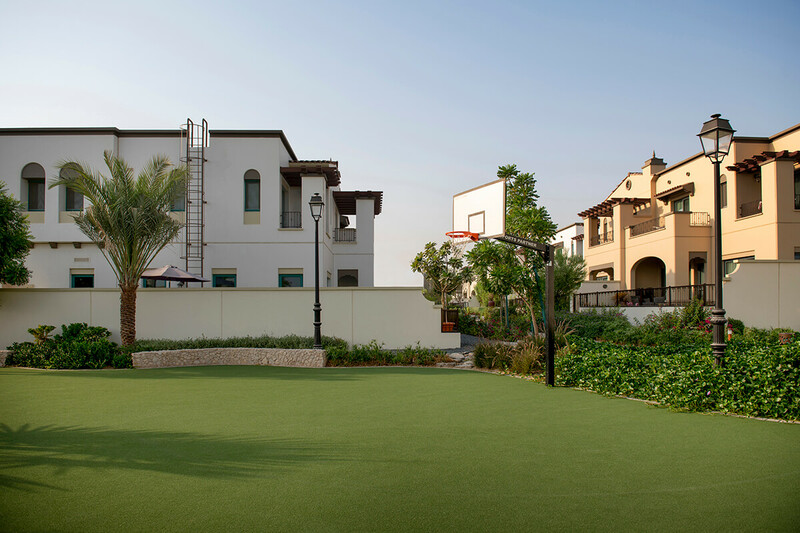 Spanish-style landscaping, manicured lawns and dense greenery punctuate Mushrif Village creating a charming environment to unwind, exercise and play. 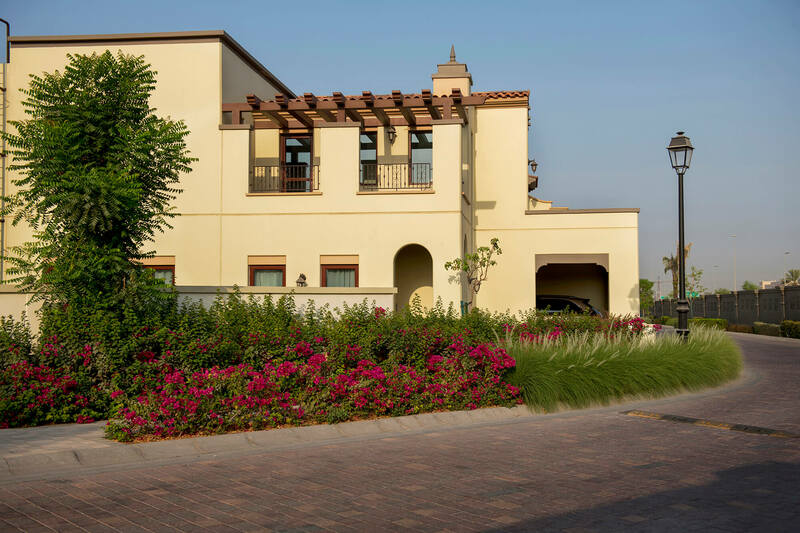 The community features lush green areas between the spacious villas and townhouses that elevate its aesthetic appeal, while offering plenty of space to unwind. Integrated streetscapes pave their way through the residences and greenery, creating an interconnected pathway ideal for leisurely walks and cycling. The social hub of Mushrif Village, the Clubhouse is where the community gathers to explore common interests, socialise, stay fit and unwind. 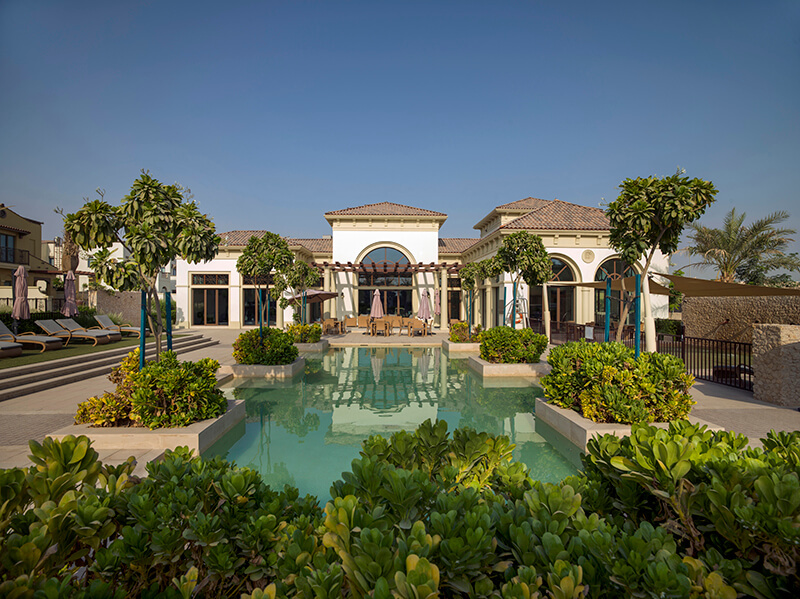 Equipped with a multi-function room, grocery store, gym, lounge and a swimming pool with changing rooms, the Clubhouse offers all the conveniences for recreation and wholesome living.